BlackBerry Priv DTEK Security Guide - The Manual DTEK Security Guide by BlackBerry app helps you monitor and control the level of security on your BlackBerry device from one central location. The PRIV by BlackBerry combines everything you’ve come to expect from BlackBerry with the full ecosystem of Android and its apps. It comes with added security to let you know when you could be at risk, so you can easily monitor and take action to improve your privacy. You can use DTEK Security by BlackBerry to determine if action is required to make your device more secure and take the steps required to make your device as secure as possible. The BlackBerry PRIV features a slide-out physical keyboard, 5.4-inch dual-curved screen, 3410 mAh battery, and the best integrated messaging experience on Android. And with an 18 MP dual-flash camera, certified by Schneider-Kreuznach, it integrates technologies commonly found in professional DSLR cameras. The power of BlackBerry is now on Android. DTEK Security by BlackBerry also helps you track when apps are accessing your personal data, what data is being accessed when, and for how long. 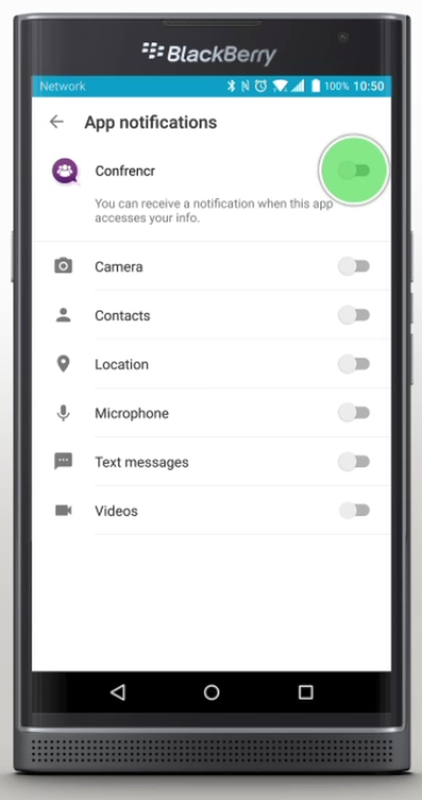 You can can also choose to be notified when specific app activities occur. 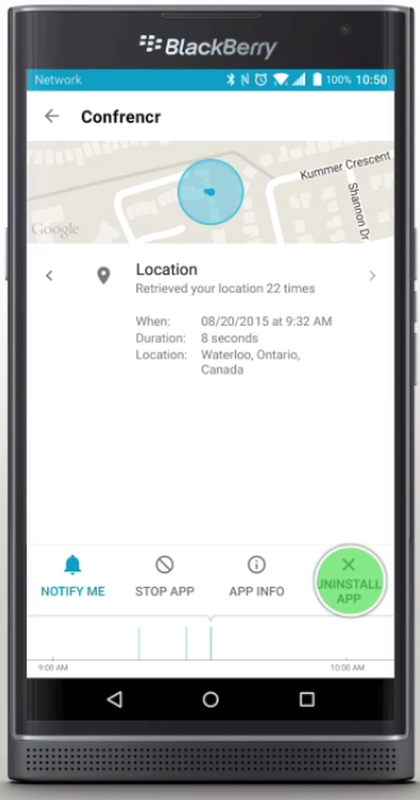 To specify which events for which apps send a notification, tap Notifications, and then tap an app. To stop the collection and storage of encrypted event data, turn off the Event logging switch. 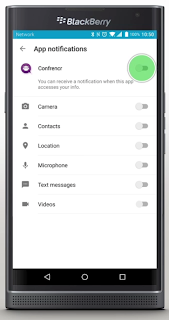 If you turn off event logging, BlackBerry Priv DTEK Security no longer monitors for concerns or provides alerts. Also, when DTEK by BlackBerry is turned off, the Apps view is not available. The DTEK Security by BlackBerry app evaluates how or if you have set up BlackBerry Priv security features on your device, including screen lock, factory reset protection, and remote device management. 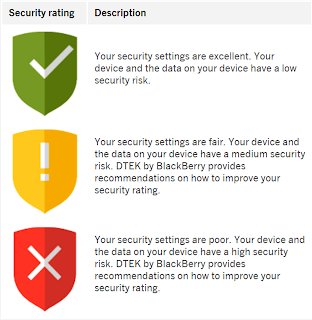 DTEK Security by BlackBerry assigns an overall security rating to your device along with a rating for each of the security features that it monitors. 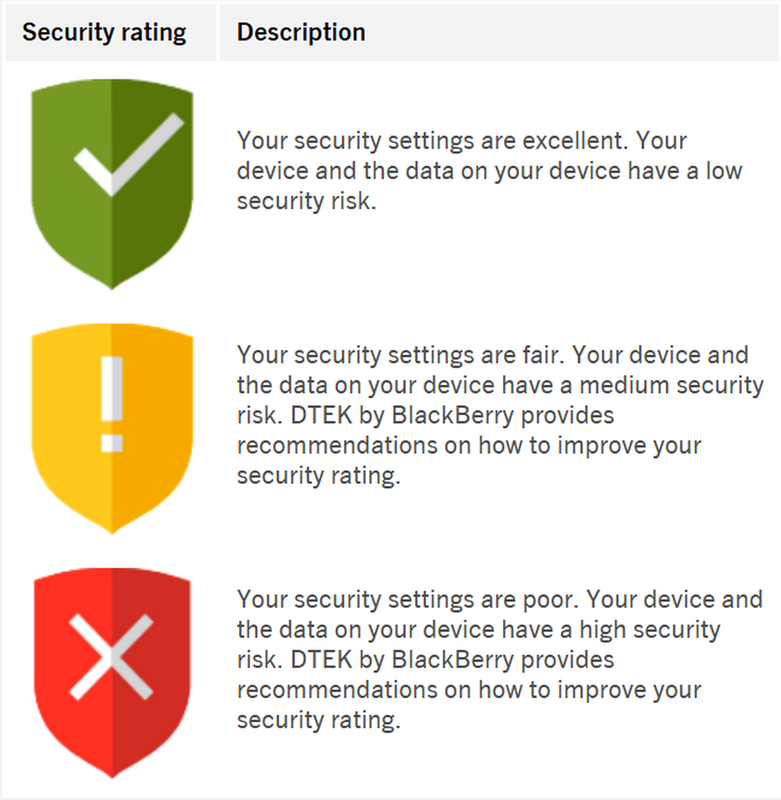 If a security feature receives a poor or fair rating, DTEK by BlackBerry recommends how you can improve your BlackBerry Priv security settings to achieve a better rating. You can improve the overall security rating for your device by adjusting the settings of BlackBerry Priv individual security features on your device. The main screen of the BlackBerry Priv DTEK Security app displays the security rating assigned to your device. It also displays the security rating assigned to the different security features monitored by DTEK App by BlackBerry. The rating assigned to your device is based on the combined ratings of individual security features. Choose the best BlackBerry Priv App on Google Playstore. recommendations on how to do so. protection, integrity protection, password protection, and remote device management. Alert : Set up notifications to receive alerts about specific application activities. For instance, you could set DTEK to alert you when an app starts tracking your location. DTEK also provides alerts when something unexpected happens, such as an unauthorized installation or jailbreak attempt. The BlackBerry Priv developer options feature on your device is typically used by app developers. 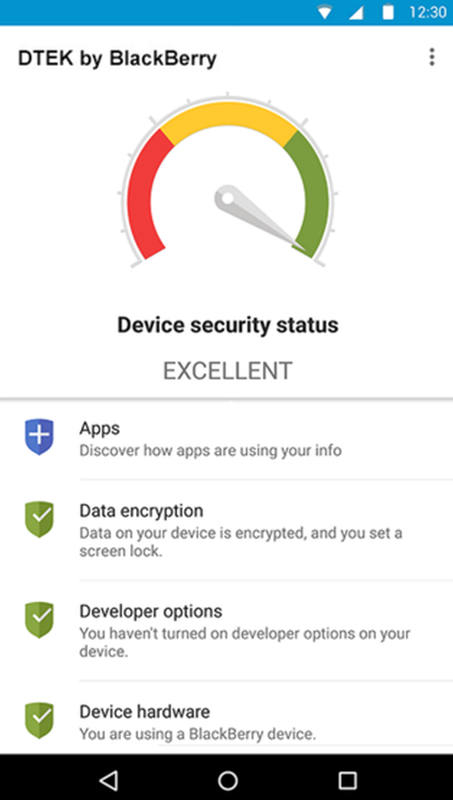 If you have the developer options feature turned on, the DTEK Security by BlackBerry app assigns a lower security rating to your device. Every component of BlackBerry PRIV works together to protect the privacy, integrity, and confidentiality of your apps and data all without impeding you. BlackBerry PRIV smartphone security measures protect your device against outside threats, while its privacy tools empower you to directly manage how and where your data is used. With BlackBerry PRIV, whether you’re working with financial reports or sending selfies, you are the one that’s in control. Turn off the switch for the developer options feature, or turn off the USB debugging switch. Turn off the switch for the developer options feature. In BlackBerry Priv DTEK Security, you can view the details of when an app used a feature on your device to access your data. You can also set up DTEK Security notifications to monitor future access, stop the app from running, or uninstall the app from your device.